Wow! These pics are awesome! Hey Johanna, were these taken from your Olympus cam? 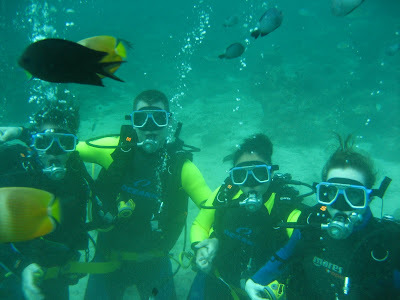 Scuba diving in Boracay was an amazing experience for the group. We enjoyed every second! Aha! 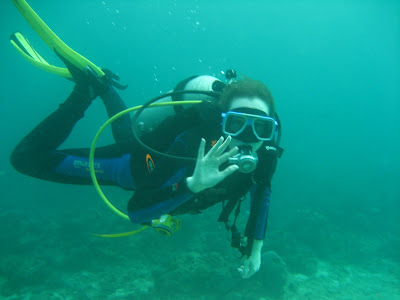 you just gave me an idea for the next visit to Bora - scuba with free fotos. Ciao! Next time you visit Boracay, look for Julius Boras. He is a young man who works selling water activities packages. He will take you to the Scuba place. 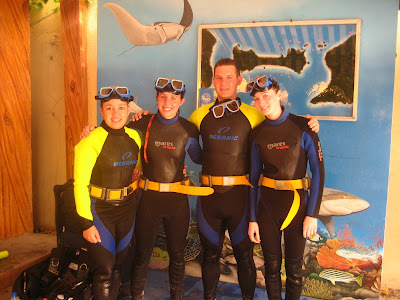 The scuba instructor's name is Pancho. I hope Julius remembers us. Greetings to you and Father Rocky; we constantly talk about the wonderful times we had at Tuloy. Thank you.